All backpackers know that the key to having a fantastic wilderness adventure is ensuring you have access to essential items while keeping the weight they need to carry at a manageable level. Many novice backpackers overestimate the amount of weight they can handle and the length of time they can move around with it during strenuous activity. Then, they end up being too exhausted during their trip to enjoy themselves. 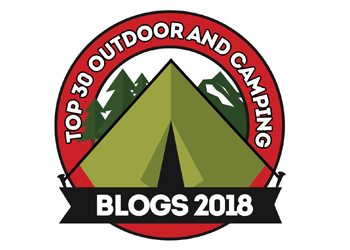 Whether you are a novice or an expert, take our advice and try out one of the best ultralight tents on the market in 2018. Among the items typically brought out to the wilderness, the backpacking tent usually ends up being the heaviest and most unwieldy. With one of the best ultralight tents, a backpacker can completely avoid this issue and reduce their load significantly. We want to help you do that, and that is why we have written this article. Follow along as we review what we consider to be the ten best ultralight tents available today. We will share our findings, both the positive and negative, and then reveal our pick for the best of the bunch. In just a few moments, you will have all the information you need to purchase the ultralight tent that will allow you to enjoy your excursions like never before. 1. What Is an Ultralight Tent? As mentioned earlier, backpacking tents are often the heaviest items in a backpacker’s load. They frequently present an obstacle for backpackers and end up tiring them out before the trip is done. For this reason, tent manufacturers have begun offering ultralight tents as the solution to this issue. 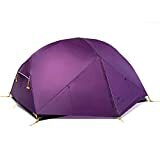 As the name suggests, these are a specialized type of tent designed to be as light as possible to maximize the amount of time a backpacker or hiker can stay on his or her feet. 2. What Are the Pros and Cons of Using an Ultralight Tent? The major advantage of using an ultralight tent is, as you can probably guess, that it reduces the weight of a backpacker’s pack significantly. In doing so, they allow backpackers to stay on the move for long periods of time. They make it easier for them to maneuver through different environments. They also present the opportunity for backpackers to bring more with them into the wild than they previously could. The main tradeoff with using an ultralight tent is that they are made of thinner materials that are less durable. That is not to say that ultralight tents are fragile, however. As long as you take good care of your tent, it can last you thousands of miles through difficult terrain and weather. 3. What Factors Should I Consider When Picking the Best Ultralight Tent? There are many considerations to make when choosing your tent. First, you should make sure the weight is appropriate to your strength and stamina. Do not just throw it over your shoulders and stand around for a few minutes. Try walking around with it, up and down stairs, through tight passages, and so on. Make sure the weight is compatible with the amount of time you expect to be on your feet. Second, consider the weather you will be traveling through. If you expect to be in snowy, rainy, or windy conditions, be sure to pick a tent made of strong materials, one that has a proven record of lasting against the elements. Another factor to think about is the amount of interior space you need. Remember that in general, the larger the interior, the heavier the tent will be. How many people will you be traveling with? How much do you plan on bringing? How much space do you and any potential partners need to feel comfortable? 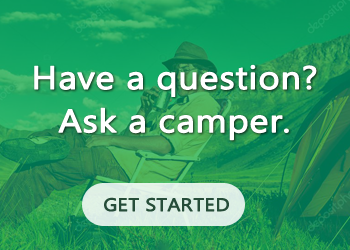 These are some questions you need to ask yourself before buying your tent. Next, look into the setup that the tent requires. Is it a freestanding tent or a non-freestanding one? The former tend to be easier and quicker to pitch with their fixed pole systems. With the latter, you will need to use stakes, guylines, and trekking poles, which saves you some weight but also necessitates more time and space for setup. You should also think about how many doors and vestibules you and any traveling partners will need. In a situation with one door and two campers, they may need to climb over one another to get in and out. If you plan on traveling with a companion or two, you may want to consider getting a tent with multiple entrances. 4. 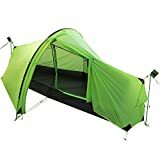 Where Can You Buy an Ultralight Tent? Most stores carrying outdoor equipment should have ultralight tents available. You can also order one online, on sites like Amazon. 5. How Much Do Ultralight Tents Typically Weigh? Even an ultralight tent will weigh at least a pound. You can expect most ultralight tents to fall within the range of 1 to 4 pounds. The following products were reviewed based on the following parameters Features, Pros & Cons, Price, Where to Buy, and Warranty. We decided on these five parameters to ensure our readers have all the information they need to make a wise purchase. The parameters we have chosen allowed us to review each of these ultralight tents in the most holistic and least biased manner possible. The Clostnature Lightweight 2-Person Backpacking Tent is both waterproof and durable with its polyester rain fly, groundsheet, and bathtub with PU 5000 coating. Its interior size measures 7’3″ by 4’11” by 3’10”. When packed, its dimensions are 16.5″ by 5.9″ by 5.9″ and its weight is 5lb 8oz. This is a freestanding tent with two aluminum poles for a quick and easy setup. 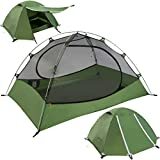 It comes with one carry bag, one inner tent, one flysheet, two aluminum poles, four ropes, fourteen aluminum stakes, and a pole emergency repair kit. This product can be found on Amazon for around $70. The Big Agnes Fly Creek 2 Platinum Tent is a three season, freestanding, ultralight backpacking tent. It features a DAC Featherlite NSL pole system for easy setup. Its fly is made of ultralight silicone treated nylon with a 1200mm waterproof polyurethane coating. The tent body is made with nylon rip-stop and polyester mesh for the ultimate breathability and ventilation. It has a single door and vestibule, along with three mesh pockets. All of its seams are taped with waterproof, solvent-free polyurethane. This product can be found on Amazon for around $550. The Naturehike Mongar 2 Person Backpacking Tent weighs just 4 lb 11 oz. When packed, its dimensions are 19″ by 6″ by 6″. It is a Y frame tent, making it simple to set up. For your convenience, installation instructions come sewn on the inside of the stuff sack. It has PU 4000 rainfly, a bathtub floor, and taped floor seams to keep the rain out. It comes with Naturehike’s generous limited lifetime warranty. This tent comes with a limited lifetime warranty. The Bigfood Outdoor Gravity Tent weighs just 3.2 pounds. Its internal dimensions are 86″ by 32″, and when folded, they are 19″ by 5″ by 5″. It comes with Bigfoot’s lifetime warranty. The Big Agnes Copper Spure HV UL MtnGLO Backpacking Tent features a 4-way high volume hub design that increases its strength by 25% and its interior volume by 20%. It comes with two doors and vestibules with storm flaps on the zippers. Its Quick Stash door keeper makes it easy to stow the unzipped door. 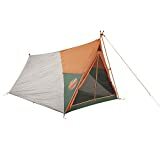 The Kelty Rover 2 is an ultralight, affordable tent with a rustic grey and orange color scheme. 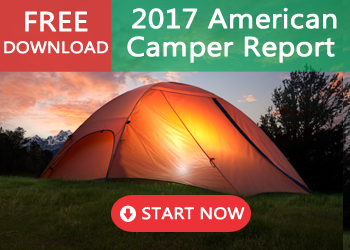 It features a classic A-frame tent design, and it has a roomy footprint. Its walls are 68 polyester, and its floors come with 1800mm coating and taped seams. The Andake 1206G Roomy One Map Camping Tent features a double wall design and comes with extra storage space. It is waterproof and ventilated, with a flysheet made of silicone-coated 15D nylon ripstop that has a waterproof rating of 3000mm. It comes with one flysheet, one mosquito net, one long telescopic pole, one short pole, two wind ropes, and four tent pegs. This product can be found on Amazon for around $120. The BaiYouDa Backpacking Tent comes 18.5″ by 5.5″ by 5.5″ when packed. It weighs just 4 pounds, and it is made of 20D silicone coated nylon. It is 8000mm waterproof, making it extremely resistant to the harshest conditions. This product can be found on Amazon for around $110. 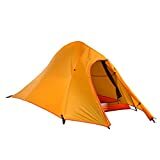 The Big Agnes Copper Spur HV UL 3 Person mtnGLO Backpacking Tent sits .17 meters high and .38 meters wide. It features a 4-way high volume hub design, which increases the strength by 25% and bolsters the interior space by 20%. It uses a zipper closure on its two doors and vestibules with storm flaps. This product can be found on Amazon for around $420. The MSR Carbon Reflex 3 Tent is ultralight at 2 lb. 4 oz. It comes with taped seams and coated rainflies and floors for the ultimate weather protection. Its rainfly is made of 7D nylon ripstop polyurethane coated 1,200 mm. Its canopy is made of 10D nylon micromesh. Its floor is made of 15D nylon polyurethane coated 1,500 mm. 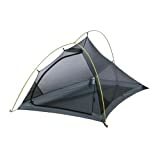 It is the lightest tent of the bunch at just 2 lb. 4 oz. This product can be found on Amazon for around $590. These ultralight tents range from $70 to $600. The main price determinants include the material composition, the design quality, the brand name, the size, and the weight. After reviewing all 10 tents, the winner is clear. The Naturehike Mongar is the best ultralight tent, providing a perfect balance between weight, price, and design quality. At $160, it sits at the bottom of the price range (price rating: $).However, its quality rivals that of lightweight tents thrice the price. If you are looking for durability, safety, and comfort, you can never go wrong with the Naturehike Mongar.